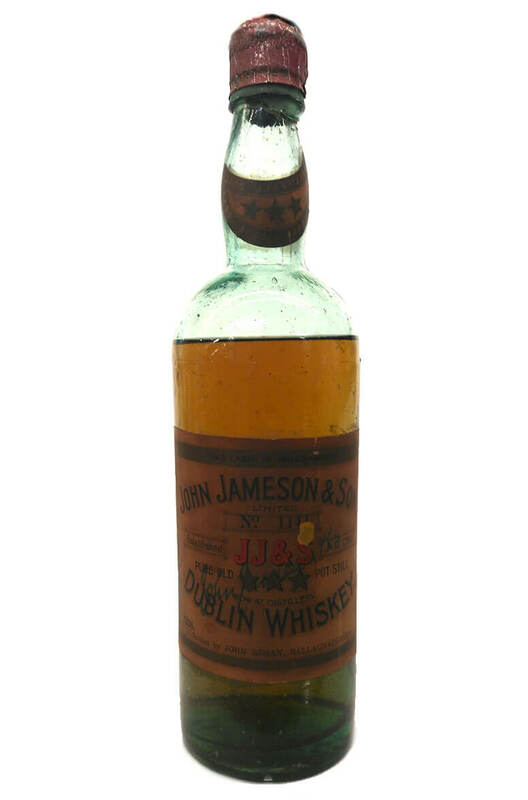 This is a very rare Jameson in an old aquamarine hand blown glass bottle. The label states it is pure pot still and bottled by J Regan of Ballaghadereen. The fill level is just below the shoulder whilst the capsule is a little worn.